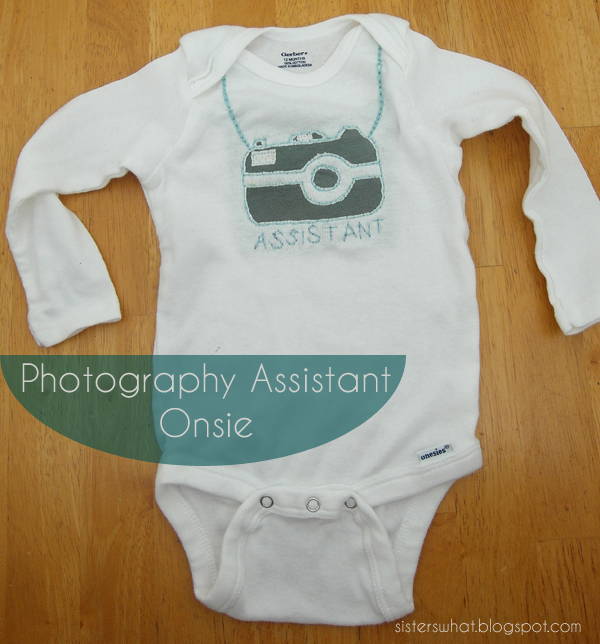 ' Photo Assistant Onsie - Tutorial - Sisters, What! 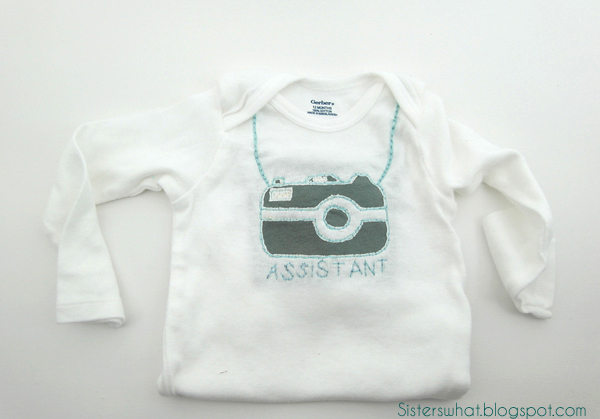 I saw this photo assistant onsie on pinterest and thought that it would be easy to replicate using the reverse applique technique. //1// I got this camera image off of google and then copy and pasted it into a word document. Then I determined the size I wanted it on my onsie and made the camera that size in word. //2// Then I an old knit grey shirt to use for the camera. //3// now go HERE for a full tutorial for reverse applique (the same one that I did for the BYU onsie and shirts) then come back here. //4// After I sewed my design onto the onsie, using the reverse applique technique, I used a turquoise embroidery thread to outline the camera. 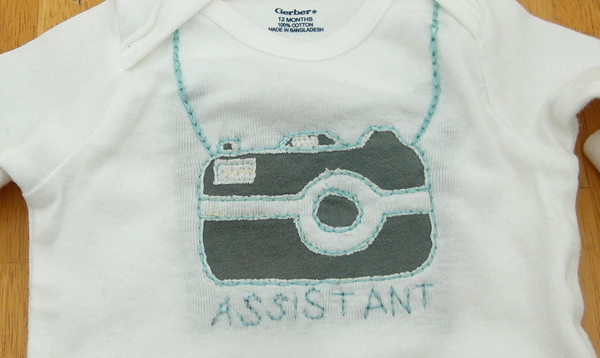 I also stitched the word "assistant" underneath the camera with the same color and then used a chain stitch (tutorial HERE) for the camera strap. And that's it. This is so cute! I may have to make one of these for my girls on some t-shirts ( since they are almost 6 and almost 4) I'm pinning this for later. Thanks for the great idea.